Social media marketing is much more than posting store hours and holiday messages - it's about growing and cultivating your community of clients! Ask us how we can help you truly socialize with your perfect audience where they hangout. Need to know if, and how, you should be using social media marketing? Caorda provides complete consulting and implementation for profit-driven social media marketing campaigns for clients joining the online conversation. Social Media is a key part of the online community and it continues to grow with each passing year. Why wait to get your business online and start making social connections? Discover the most effective ways to use social media marketing for your particular type of business. Is this social media network right for you? How much time should you spend? What benefits will you see from being active with social media marketing? Caorda’s web marketing experts can answer these social media questions and more. Where Does Caorda Socialize Online? Currently, Caorda and its staff participate in the online conversation about web design, development and marketing through Google+, Facebook, Twitter, and LinkedIn. Click the preceding links to find us in the social media marketing space. You can see we focus in certain areas more than others since that’s what works for Caorda and our client base. Social media marketing can make a positive difference to your business and your profitability if pursued in a thoughtful, meaningful way. Let us point you in the right direction. Make the most of your audience and your time with social media marketing advice from experienced web marketing experts. 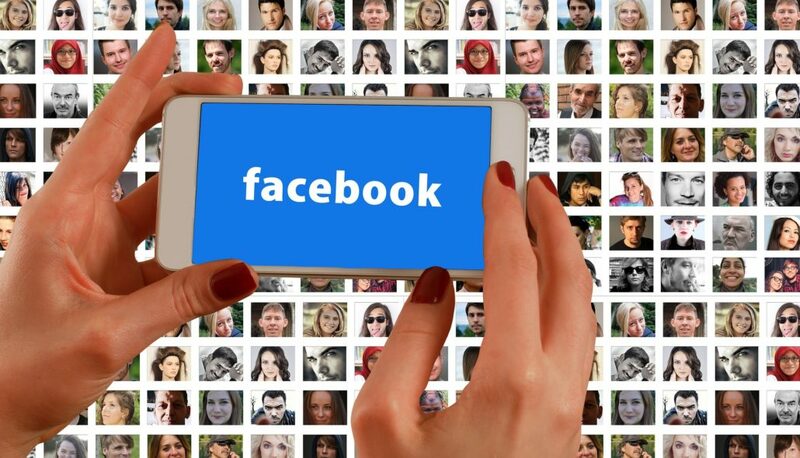 Facebook — along with it’s other owned & operated platforms like Facebook Messenger, Instagram, WhatsApp, and more — gives businesses the ability to reach extremely large audiences across multiple devices and platforms using one simple online advertising tool: Facebook Ads. On top of an extremely large reach (matched only by Google’s reach), Facebook Ads allows businesses to target their marketing and advertising in such a way that is unmatched anywhere else. When it comes to Google Ads, most ads will appear on Google’s search platform. However, Google Ads also gives advertisers the ability to promote their business on various content sites around the web, as well as the large video platform owned by Google; YouTube. On the other hand, Facebook Ads mainly allows advertisers to promote on their major desktop and mobile social platforms like Facebook, Facebook Messenger, and Instagram. However, there is also the ability to reach various content sites through Facebook Ads as well, via their content partners. The exact type of ad that users will see also vary between Google Ad platforms and Facebook Ad platforms. Most of us are used to the “text only” search ads that we see when we search around the web using Google. If one wants to use more imaging in their ads while using Google Ads they will have to opt for their Display or Video platforms, as those platforms allow image banners and/or video ads. Facebook Ads, however, always require high-quality imaging (image[s] or video) to go along with the ad-copy in their ads, so there is always an ‘imaging’ component to FB Ads. On top of that, videos are also allowed and highly encouraged to be used along with Facebook Ads as well. Targeting is a major factor of any marketing campaign, especially when it comes to digital marketing online. There are some major differences (and similarities) between the targeting capabilities that of Facebook Ads vs. Google Ads. When it comes to Google Search Ads, targeting is completely based on the keywords searchers use to perform their searches online, and there is an auction for the cost-per-click bidding of those keywords. Google Ads also has some demographic & interests targeting when it comes to their Display and Video ads, but the demographic targeting on these platforms based on user history instead of actual user data input like those on Facebook Ads. Facebook has the unique ability of having it’s users specifically state their demographic information in much more official detail. Facebook Ads is one of the only platforms online where businesses can target users accurately and specifically on their age, gender, location, and much more; marital status, job title, employer, interests, etc.. Although Facebook Ads also has a cost-per-click bidding auction, their targeting is much more demographics based, and this demographic targeting is very accurate as well. Social media can be a powerful tool to keep current clients engaged in order to grow word-of-mouth as well as grow repeat business. It can also be a great way to increase your current client base, especially when you bring social advertising like Facebook Ads into the picture. Social media and Facebook Ads management is not a passive initiative as it takes consistent work and management to post often and manage effective/efficient ad campaigns. Working with a professional in this field is highly encouraged. Contact us for an expert perspective on your social media marketing plan today!